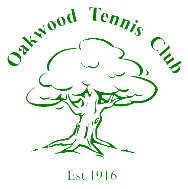 Oakwood Tennis Club accepts no liability for the accuracy of any information published on this website. Whilst every effort is made to ensure accuracy, this cannot be guaranteed. No responsibility can therefore be accepted for any loss caused by the use of this website. This website includes links to other websites. 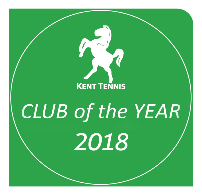 Oakwood Tennis Club is not responsible for any products, services, materials (including downloads) or information, offered or provided on any such websites. The provision of a link to such a website does not imply that the club endorses the contents of the website, or its operator. Oakwood Tennis Club has no control over the availability of linked websites.